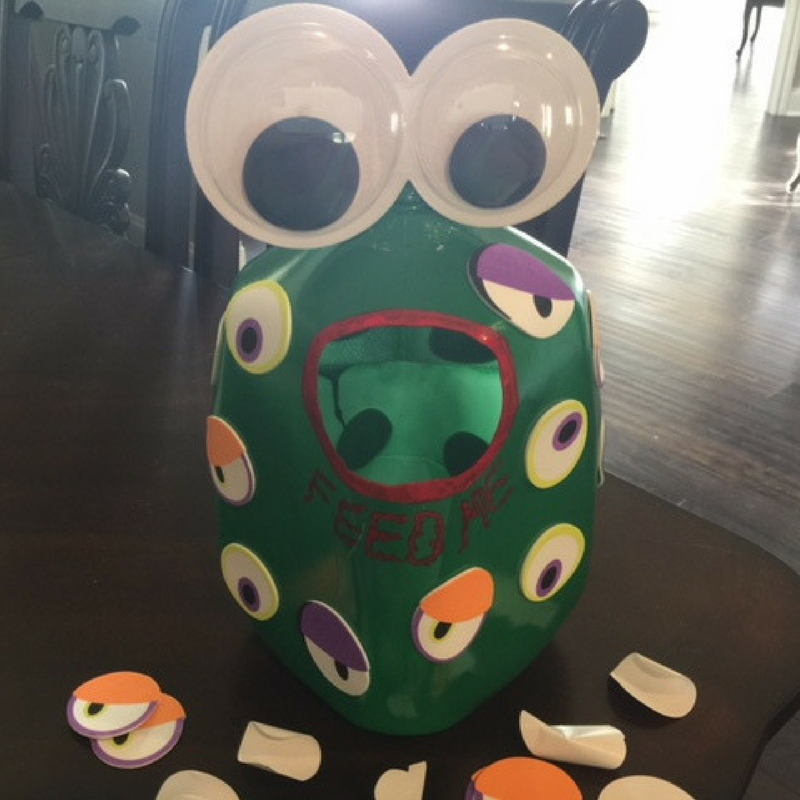 This Monster Candy Bucket Is Perfect for Halloween! It’s time to scare up some fun! 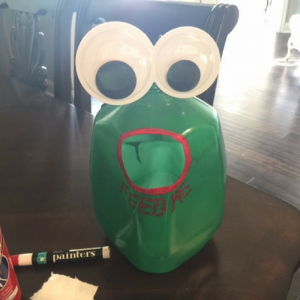 Start with this multipurpose milk jug Halloween candy bucket. 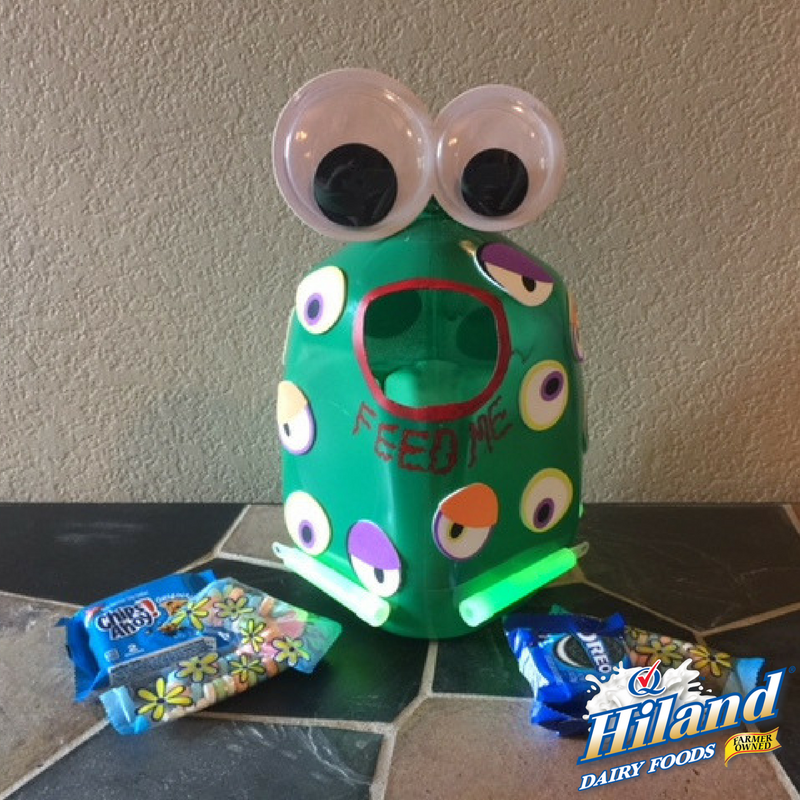 It holds treats for all your little ghouls and goblins, and it lights the way for every candy-seeking step. 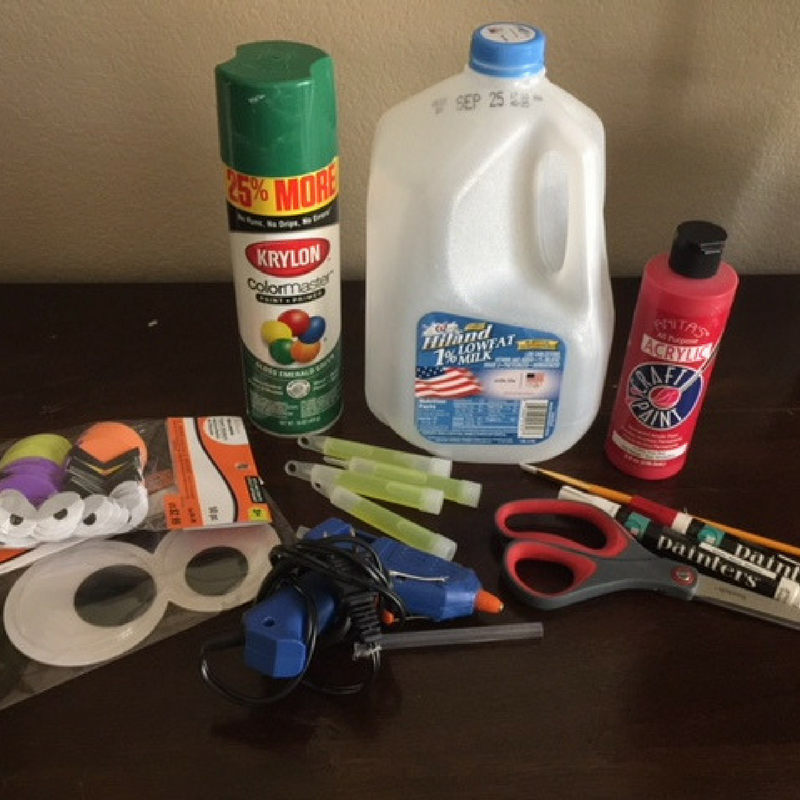 All you need are a few crafting supplies and some glow sticks. Rinse the milk jug with warm, soapy water. Allow to dry completely. 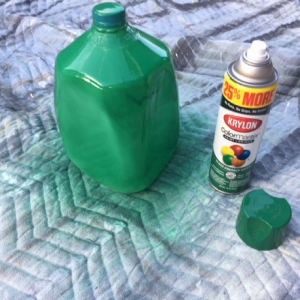 Spray-paint the entire jug, including the lid. Allow to dry completely. Cut out a large opening in the front of the jug, opposite the handle, to make the mouth. 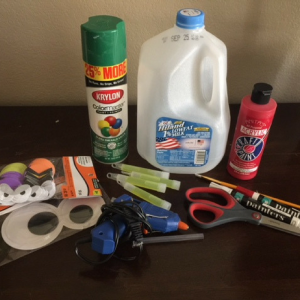 Use hot glue to attach the googly eyes to the milk jug lid. 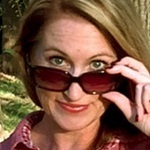 Paint a thin red band around the opening to create lips. Using a paint marker, write the words “Feed Me” under the mouth. 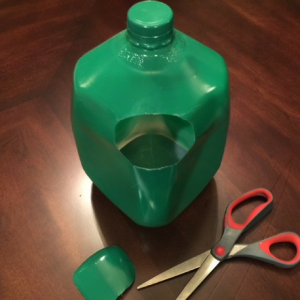 Peel off the backs of the foam eyes and stick them onto the jug. 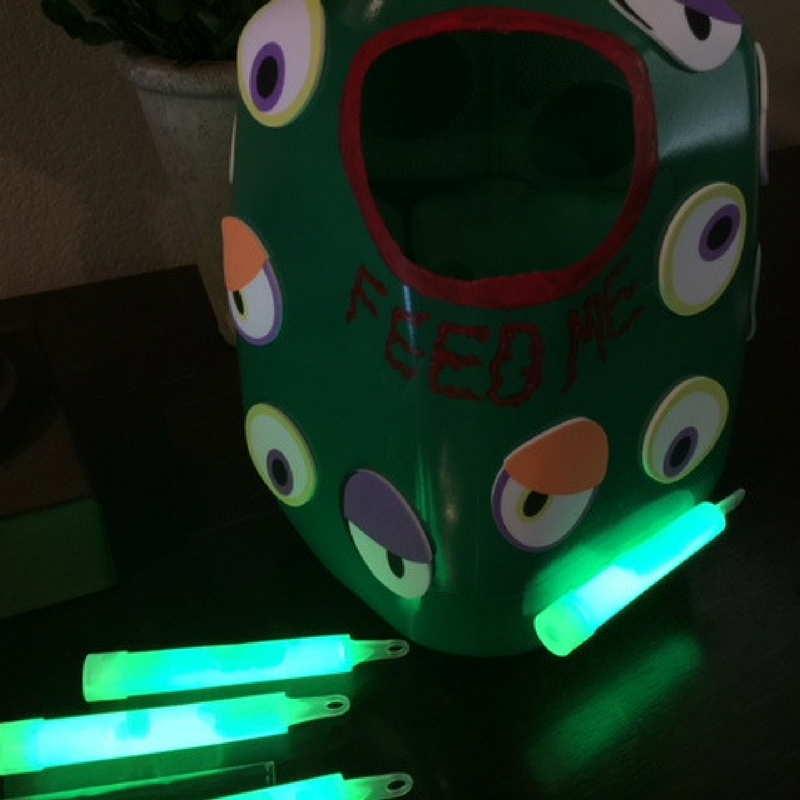 When it’s time to hit the pavement for some sweet treats, light up four glow sticks and hot-glue them horizontally to the bottom of your hungry monster bucket. Make sure the edges of the mouth hole are smooth so your little ghouls and goblins don’t get scratched when grabbing their treats!